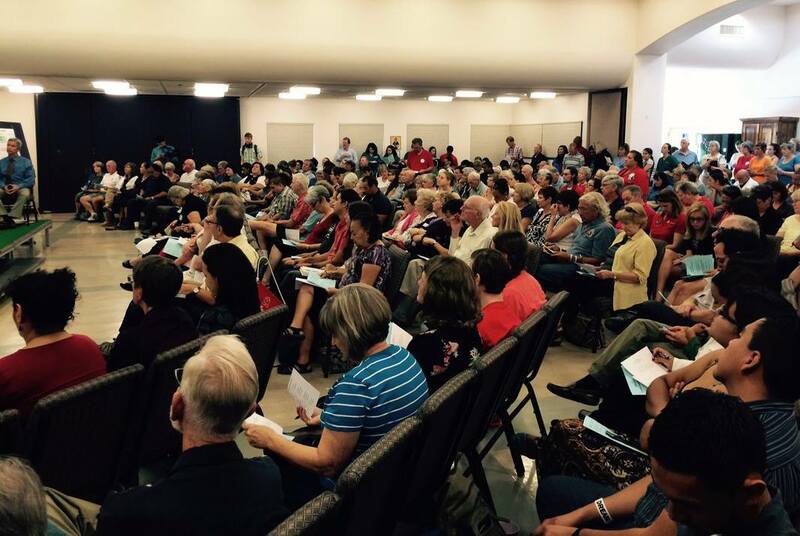 340 PCIC leaders packed the hall of Most Holy Trinity Catholic Church in Tucson for an “Education Accountability” session with 30 member institutions in attendance. 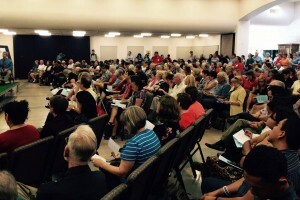 Candidates for State Representative, Pima Community College Board, and Arizona Attorney General publicly responded to PCIC concerns around DACA, foreclosures, JobPath workforce development, and overall funding for public education. Tucson Weekly reports on Fr. Tom Tureman’s “barn burner” speech denouncing the educational system failure in Arizona: ”Teachers are our first responders, but instead of supporting them, we revile them….” [and then we] ‘elect people who ignore education and spend their energy shouting about immigration and taxes.’ More below.